Escape the scorching heat this summer and visit Shimla, Manali with an exclusive Cost Saver Package for 8 days and 7 nights from Kesari Tours. This article provides all the details related to the Shimla Manali Cost Saver Tour Package for 8 days and 7 nights from Kesari Tours. One of the leading and most preferred travel company in India, Kesari Tours arrange excellent holiday packages which are tailor made for the guests and tourists convenience. Other than exclusive holidays, Kesari Tours also come up with Cost Saver Holiday Packages which are planned efficiently for making your travel package more affordable and reasonable. During summers, people always plan to visit places where the climate is pleasant not to mention cold. Moreover places like Shimla and Manali in Himachal Pradesh are at there best during summers making it highly appealing for the tourists to visit such places. The climate is inviting ideal for running away from the scorching heats of summers in places like Mumbai, Chennai, Bangalore and Delhi. Its ideal to travel with Kesari Tours as the travel packages are clear cut with no hidden costs and no compromise on the sightseeing in those tourist places. Additionally tourists can vouch upon the hospitality and comofrts offered by Kesari Tours. In this Cost Saver Tour Package for 8 days and 7 nights to Shimla Manali, one gets to stay at Chandigarh for 2 nights, Shimla for 2 nights and Manali for 3 nights. Ideally in all these time you visit all unique places including Chandigarh, Shimla, Manali, Kufri in Himachal Pradesh, Kullu and Rohtang Snow Point. So the journey to beautiful places begin from Delhi by arriving at Nizamuddin Station and reporting to the coach. From here you travel to Chandigarh and check in at Chandigarh Hotel. Relax for the entire evening for a great day tomorrow. Morning you proceed to Shimla and enjoying great sightseeing. 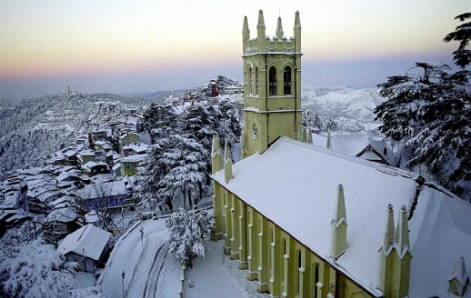 Visit beautiful places like the famous Mall Road of Shimla, the Scandal Point and Shimla Church. In the night relax in your hotel room at Shimla. The journey begins today by proceeding to Naldehra where you visit the Naldehra Golf Course. From here proceed to Kufri in Himachal Pradesh, amazing place known for its winter sports. Visit the Indira Bungalow, Himalayan Nature Park and more sightseeing. Once done proceed back to Shimla Hotel and relax. Today you visit Manali. On the way you get to see and visit many points including the Pandoh Dam, Beas River, Sutlaj River, Kullu Valley and Beas Sutlej Link Project. You also get to visit the Shawl Factory at Kullu and buy them if you wish. In the evening you reach Manali and spend the night at hotel in Manali. Enjoy the most beautiful drive to the famous Rohtang Snow Point. Have a great time and relax in the evening. Please note: The area that is been visited in the tour package is the snow point on the Rohtang Road,which has been permitted by the Border Security Force. 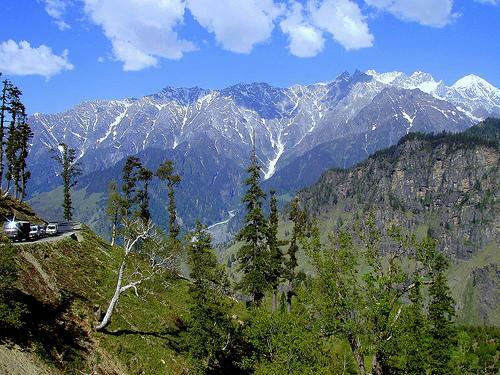 Today you explore Manali for the whole day by visiting some of the most famous places in Manali. Visit the ancient temples like Vashista Kund and Hidimba Mandir. Evening is reserved for exclusive shopping and other leisure activities. Enjoy some great sit-out with your travel companions. Proceed to Chandigarh in the morning. On the way visit the Viashnomata Mandir at Kullu. You reach Chandigarh in the evening. Finally its the 8th day when the journey concludes as you board the train to be back in your home town. - Delhi - Chandigarh - Delhi a/c coach train fare.